So you think you know Taco Tuesday? False. 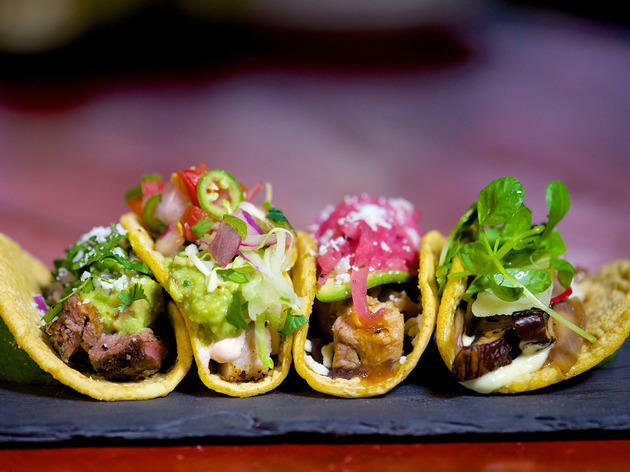 Pink Taco is bringing Taco Tuesday to the masses with an insane deal at both the Century City and Sunset Strip locations from 4pm to close. 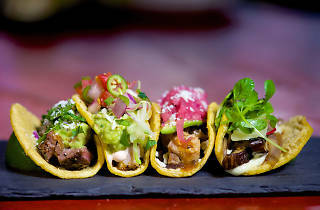 Nosh on a variety of tacos (chicken, portobello and Baja fish at Century City; ground beef, chicken, portobello and al pastor at Sunset Strip) for $3 each, then follow it up with $3 beers and margaritas ($3 at Century City, $7 for frozen margaritas at Sunset Strip). Tuesdays are the new Fridays, clearly. This post is misleading. The $2 taco/margarita deal no longer exists at Pink Taco. The tacos are $3 and the margaritas are $7. When I told our waitress she brought out her manager who hesitantly offered us a round of shots to apologize. The tequila shots we received were watered down and flavorless. I'm giving this post 1 star not only for its inaccuracy but for the rudeness we received by the wait staff at Pink Taco. Never going there again. Tacos are now 3$ not 2$.